The Natural Name Puzzle Stool. Comes with four legs and a natural finish. 4. Need more letters? Request a Custom Listing. Shipments to Alaska and/or Hawaii will pay a $15.00 surcharge billed separately. 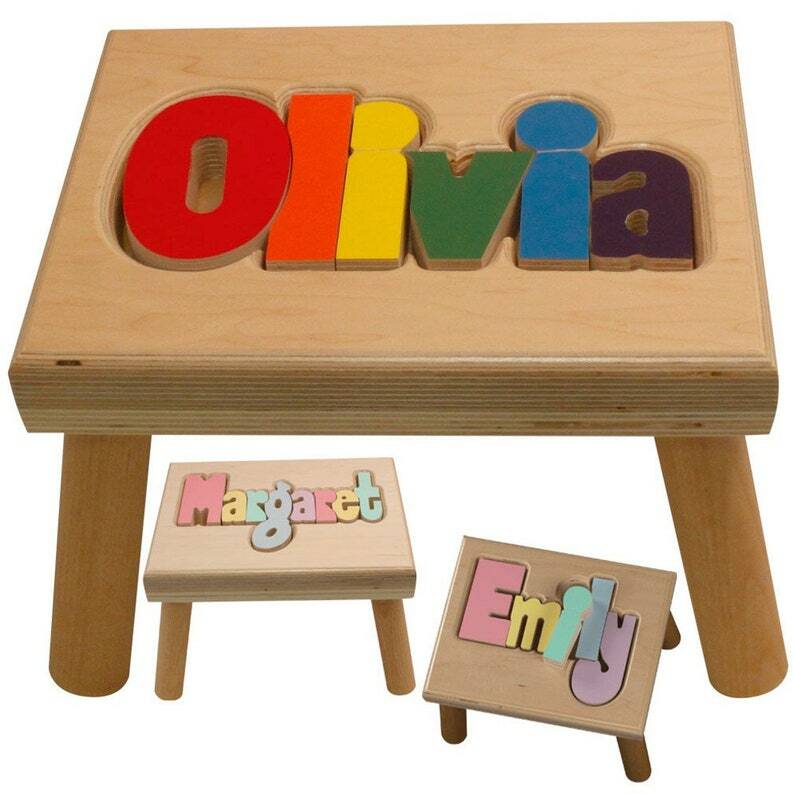 These stools are very well made and were a delightful gift for one year old twins!